It is a seamless knit worked outwards from the neck, where it begins with Judys Magic Cast-On. 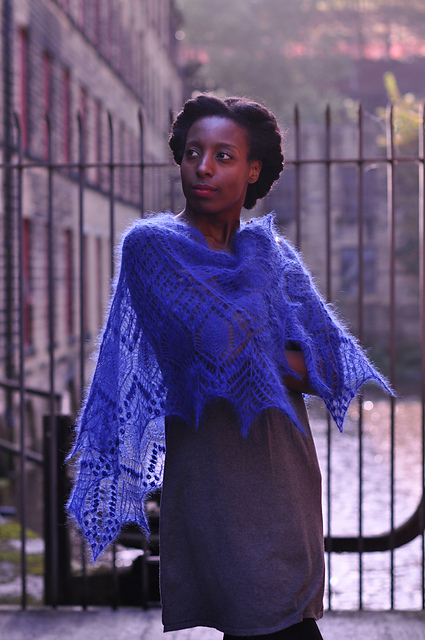 The pattern includes a tutorial for this as well as for making ‘nupps’, the dense bobble-like stitches that feature abundantly in the shawl’s border. 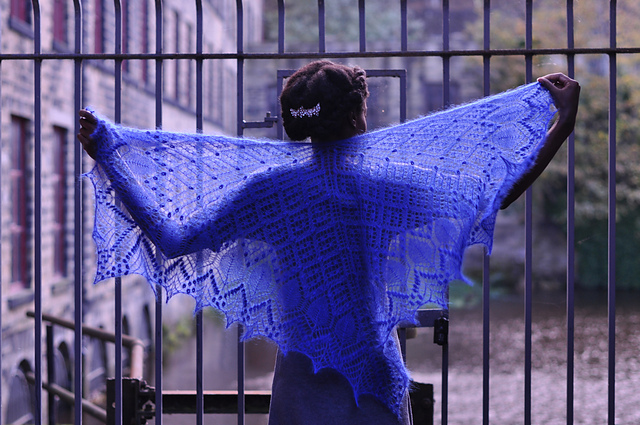 The finished shawl measures 152cm/60″ wide at the widest point and is 76cm/30″ deep at the centre, as shown in the blocking diagram on page 7. 75g of 2ply/laceweight yarn with approximately 836 metres/920 yards per 100g (209 metres/230 yards per 25g). The pictured sample was knitted with Rowan ‘Kidsilk Haze’ in Royal #613. 4mm/US 6 circular needles for flat knitting with long rows. 6.5mm/US 10½ needle for casting off. Adjust needle size as necessary to achieve specified tension. 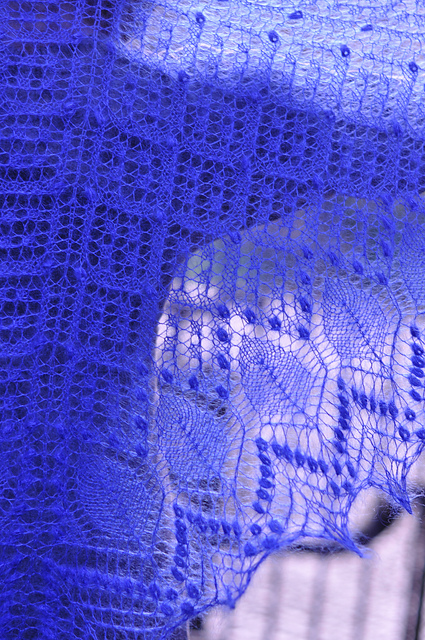 14 sts and 26 rows per 10cm/4″ in blocked Shawl Lace pattern.